In our 14 year history, we have seen many come and go but many more have stayed the course. We were excited to take back what had been taken from us. Freedoms, truth and money. On out journey, I fought the onslaught of the 'system' through 20 personal lawsuit attacks against me personally all ending in corrupt courts siding for the banks. They won the cases but never received a penny do to our effective asset protection. Then came a $750,000 false claim against the club and myself by the IRS for 2 years. After much expense and struggle, I turned to Creator for help and the debt was erased. At first the interest in the club was all about the AR money, but as the years continued, we became more heart centered and added our Quantum Energetics (QE) program and helped our member with their emotional challenges quickly and powerfully. It worked so well Creator asked me to invite the 'higher selves' of all beings on Earth and then the Universe. The spiritual awakening of FCUSA had begun. Never did we lose sight of our financial commitment to our members. But trying to 'justly' take money from the cabal financial system was much more difficult than estimated and has left a trail of dead bodies and no successes. The time was not yet right until NESARA's release. The first attempt at releasing NESARA resulted in 9/11 and the death of 1000's of humans, continual wars and even more controls on the public. We were up against an entire New World Order who killed Kennedy and Reagan (he died and was cloned) who tried to do what we hoped to accomplish as a club. So what would release and remove their stranglehold on the money, courts, military, healthcare and politics? As we grew spiritually, not all our staff followed and internal greed by former staff members ended that with a false complaint to the corrupt SEC and thus betraying their own FCUSA club and all its members. This resulted in a 3 year battle, my arrest for contempt and the shutting down of our facilities and purge of the dissenters. We persisted and opened a much smaller office with a handful of the staff who proved to be in the light and loyal members. The SEC struggle for the last 3 years left us with a fraudulent TRO (temporary restraining order) ending our ability to engage in any way with the AR program. This left us stranded but precipitated the beginning of monthly maintenance, allowing us to continue our mission. Those in hardship could opt out and the dedicated few persevered with us to this moment, attracting new members to our GSA and LLC programs and the no upfront cost, QE program. Calls have never stopped: Intro, VIP, Member, Prosperity and QE. We never missed a heartbeat or conference call for our members and prospects in our entire bumpy 13 years. Then came the RV (revaluation of currencies) and we studied and educated our members of this incredible financial opportunity with no financial advantage to the club but enormously valuable to our members. Most recently, after Lois (Reiki master) and myself working with Creator for 2 years clearing harmful energies throughout the planet and Universe, have now offered our members the opportunity to remove these invisible invaders from their essence. Typically 50-5000 very harmful entities have invaded each individual, their spouses, children, homes, computers, cars, workspace and create destructive effects on their bodies, spirits and even their souls. 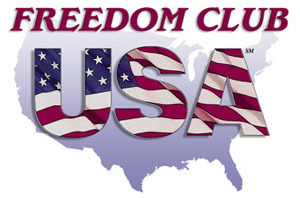 Learn more here: http://freedomclubusa.com/entity_removal/. In the past 3 years, we have seen the Federal Reserve being taken over by the US Treasury, the IRS more recently taken over by the Treasury (in part due to our GSA program), and now with President Trump at the helm, the take down of thousands of the cabal worldwide. In other words, we are seeing the implementation of NESARA and the global GESARA and an entire new gold backed financial system out of reach of the cabal. During our 13 years, we have not only served our members endless education; with ARs (to be paid following NESARA and RV announcement); GSA helping remove the cabal in banking, IRS and CRA plus being financially rewarded; RV currencies redeemable at announcement bringing massive prosperity to our members; LLC creation to hold their wealth to buy homes, cars and benevolence; QE to all members and the entire planet; and now 'Entity Removal' for all and the Universe. Your FCUSA club has persevered through endless challenges, just as each of you have. Now, how many of your club benefits are you using and sharing?